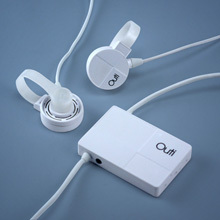 The Outi earphones. I ordered them from Think Geek, and I am in love. They clip to the cartilage on the outside of your ear, and use the cartilage to transmit the sound to your ears, without blocking them from outside noises. And they WORK! I can pop them on, listen to music, and still hear everything around me. Freaking awesome! I’ve made some progress on the Fair Isle cardigan – I bound off the body yesterday! 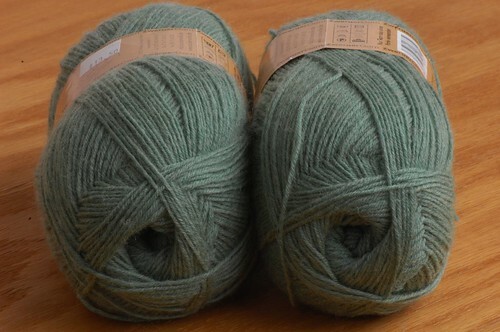 This weekend, I’m going to steek for the sleeves, and hopefully get them started. 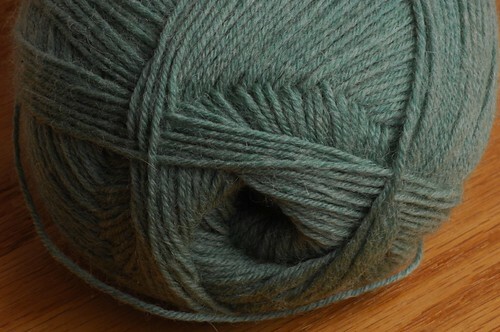 I’m going to try to get some pictures of the steeking process (You’re welcome, Betsy. 🙂 ), but I may have to resort to a tripod and timer, because Kris’s work schedule today is looking a little… ugly. Either way, I should have pics on Monday. 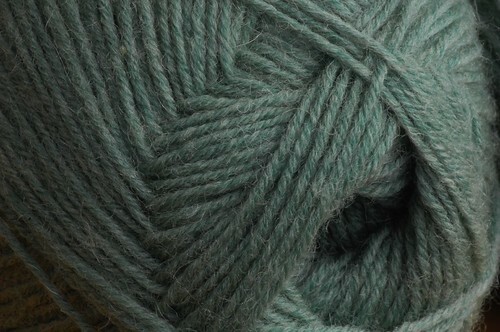 February 1st, 2008 | Tags: Misc., Yarn Pr0n | Category: Misc. 12 comments to I am Iron Pr0n! The ironworks socks are so pretty! That yarn will be perfect !! I’m gonna go check out those earphones! they look awesome! I have the same problem with earphones, I gotta go check these out! Thanks for posting about them! Can’t wait to see the steeking! And I think I am gonna have to get a pair of those earphones. Coolest thing ever. I have the same troubles with headphones fitting! Except when I use them I usually *want* to block out outside sounds. When wordpress won’t space paragraphs for you, you can flip over to the code side and do it yourself. Just add the tag (but without spaces) when you want the blank lines to be. I was waiting for some green after all that pink. 😉 You’re much braver in the sock department than I am. I love those earphones–I’ve got the same problem. thanks! Kindred spirits we are – I too apparently have freakishly small ear canals and have been considering those very same earbuds – I am SO glad you tried them and love them! 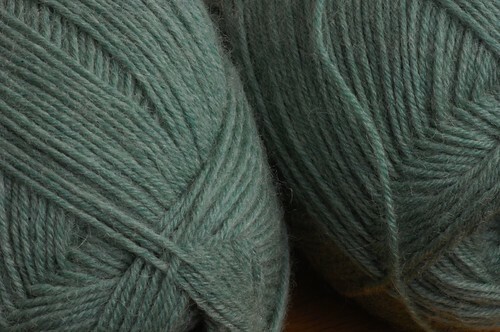 Off to my happy place (aside from the various yarn related ones) Think Geek. Dude! I need to get a pair of those. I’ve totally given up on any kind of i-pod thing because ear buds hurt so much (tiny ear holes I guess), but those are cool! WANT! I have a hard time wearing ear buds too. I must have those. Awesome. which is located on line 45 within the ‘p’ block, by altering the first ‘0’ to read ‘1em’ instead (e.g. ‘margin: 1em 0 1.2em;’).